Ugh, shoes. They feel like a big thorn in my Sustainable Environmentalist side, because they really aren't always a great choice to purchase used. 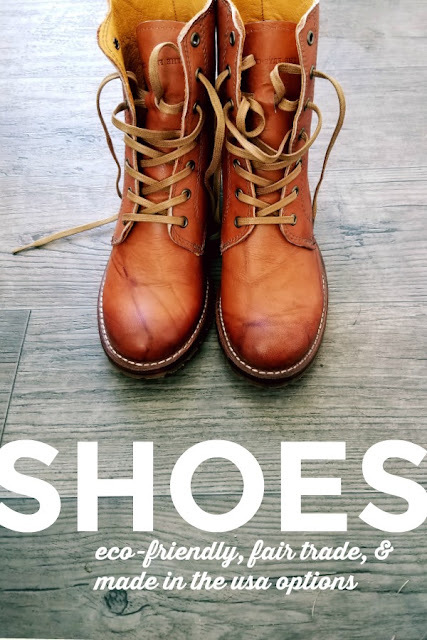 Depending on the shoes, if they have already been worn much, they have contoured to a previous owner's feet, and they could hurt your posture and gait (so if you find something great that have definitely been used, try them with insoles like these). Even worse, men seem to have oodles more options on the American-made shoe front than we women do. It's where sexism and overconsumption collide; the assumption is that women need tons of shoes, whereas men only need a couple, so men's shoes are more rugged and long-lasting (and often more ethically made). Women's shoes seem to push for variety over quality, so there are about a million options, but not much to speak of in a positive way. I know I own a lot of shoes. 10-20 pairs. And I wear the same pairs over and over again. I have two pairs of real, serious athletic shoes, but I only ever wear my keds (also, damn you Keds for not being made in the US! Get it together!). I also wear tons of cheap flats. For years, I consistently bought super cheap flats from places like Payless, and then I wear them for everything (I have a pair of yardwork flats, a pair I walk on the treadmill in, etc). I also wear high heels roughly twice a year, but I own four pairs. 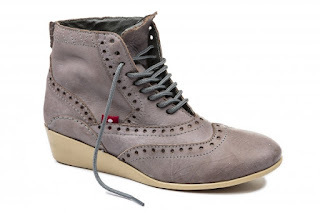 When I switched to ethical shopping three years ago, I had 0% ethical or American-made shoes. This is also a tricky question depending on priorities. If you want shoes that will last but eventually decompose (zero wasteish) you are looking at leather, but if you are an animal-lover or vegan, a synthetic substitute might be better. I will try to mark when a shoe fits either criteria, but it is a problem. Where made in America items can sneak into other parts of our lives and wardrobes, shoes really force you to go out of your way. But all these hurdles doesn't mean you can't do the right thing. Wash things. Repair things. If you loved them once, then use them until they are absolutely dead. If they are hideous but together, use them anyway. Do not throw things away. This means avoiding buying shoes that are so trendy that they could possibly go out of style before you work a hole into them. Most of us have way more shoes than we wear, so there are a bunch of pairs that are still in pretty great condition. Time to cut some shoes! Consign them. Give them away. I am going to Buy Nothing some shoes that are still in really good condition (meaning, I never wear them). Count how many shoes you have, and see if you can't shrink the number in your collection. Life is not an episode of Cribs, so having a giant closet of shoe baggage makes no sense. 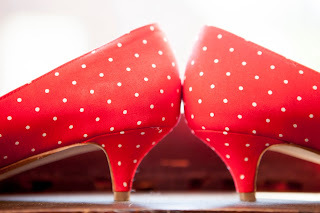 In the three years since I first wrote this blog, I have only bought ethical shoes. It can be done, and I really love every shoe in my wardrobe now. Most of my shoes are older, but when those Payless flats gave up, I knew my options. The CHEAPEST way is to look secondhand- I keep an eye on my size on Thred Up, and that's where I have gotten most of my flats. Same cost (or cheaper) than Payless, but usually built to last longer. I have also found great boots at our local Goodwill. If you aren't buying secondhand yet, you are missing out. So much of what goes up clearly was never really used too, so it is worth it to check it out. Second, but shoes you can feel good about. that means they use eco-friendly materials, protect animals, use ethical labor, or locally-made shoes. They each have their own merits, especially for the environment. - Eco-friendly materials might be recycled or made of organic cotton. Materials other that plastics or synthetics are better for the environment. - Vegan shoes avoid all animal products, and we know the mass farming of animals, especially cows, has a profound environmental impact. - Locally-made shoes (for us, Made in the US, but you have to do close to you) means that the product (and in some cases it's materials) travel much shorter distances. The less our stuff travels, the less fossil fuels we waste. It also means (depending on the labor laws where you are) that you are investing in the fair treatment and jobs of your neighbors. 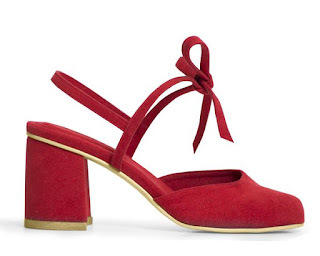 It is harder to find ethical shoes (especially anything feminine like a feel) for the ladies. Harder, not impossible! Let's do this! Danner (USA)- This company makes exactly one pair of shoes for women- these mountain boots- but they are great ones and worth looking into if you like climbing mountains and other terrible outdoorsy things. 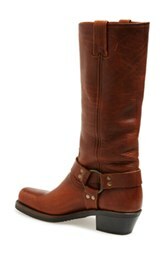 Frye's (USA)- Frye's Leather boots are quintessential American pieces, and they last forever. If you ever bought a pair of shoes Made in America accidentally, it would probably be these. The boots they sell essentially last forever, so when you give up on your crappy, falling apart boots, these are the ones to you will still be wearing 20 years later. I just bought my first pair as my big splurge for the year, and I love them. 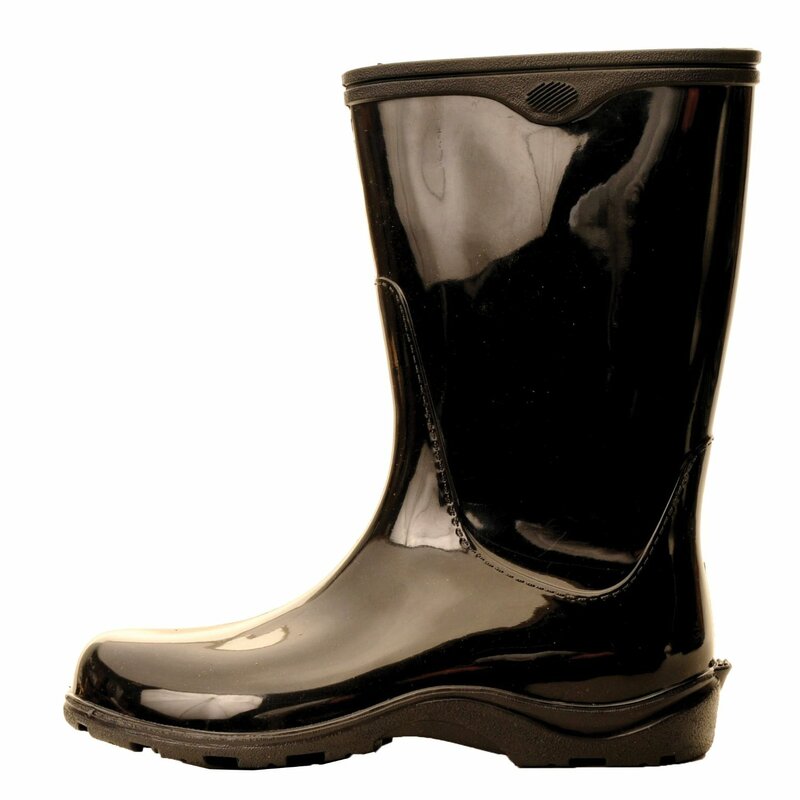 Kamik (Canada, Recyclable)- Kamik makes SERIOUS snow boots and rain boots. Snow boots that the snow is afraid of. For professional sledders and snow angels. Poofy and cute, and way not my thing, but if you need snow boots, I know where you could get them ethically-made! 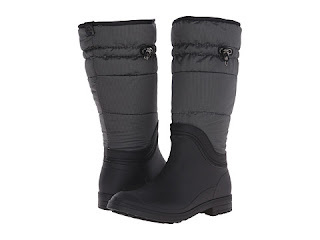 They have cute cold weather rain boots as well, and the best thing about them is once you are done, you can mail them back to the company, and they will recycle them. 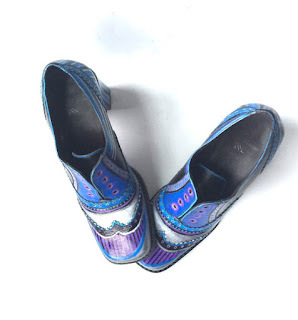 Oliberte (FT, EF)- This company based out of Addis Ababa makes gorgeous boots (and adorable flats as well) whose primary mission is to support workers' rights in sub-Saharan Africa. 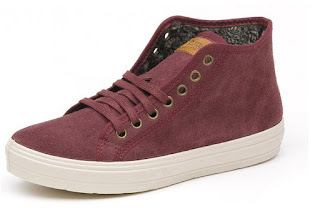 They are one of my new favorite shoe companies in the world (literally). Not only do they support workers, but they opened their own factory in Addis Ababa in 2012 and are the first Fair Trade shoe company in the world. They focus on empowering workers rather than charity to break cycles of poverty rather than give them momentary refuge (in other words, you might buy a pair of these before you shell out for TOMS- this is the criticism most often and rightly raised against them). They are also eco-friendly and source ALL of their materials locally. So awesome! You can even watch videos of the work going on in their factory. I bought a pair of simple flats from them as a replacement for the flats that have died this year. So well-made, and I get compliments on them often. Sloggers (USA, R)- 100% Recycled materials and made in the US? Does it get any better for a blogger like me? Answer-- No way. These slogger rain boots aren't any more expensive than most rain galoshes, but they do all kinds of good. They also have clogs and booties for your gardening, non-croc needs. The plain colored ones are also pretty chic, for rain boots. We can all buy these now, right? UGG (USA)- These rubber rain boots are also made in the US. Great colors, and they look pretty sophisticated for a rubber boot. 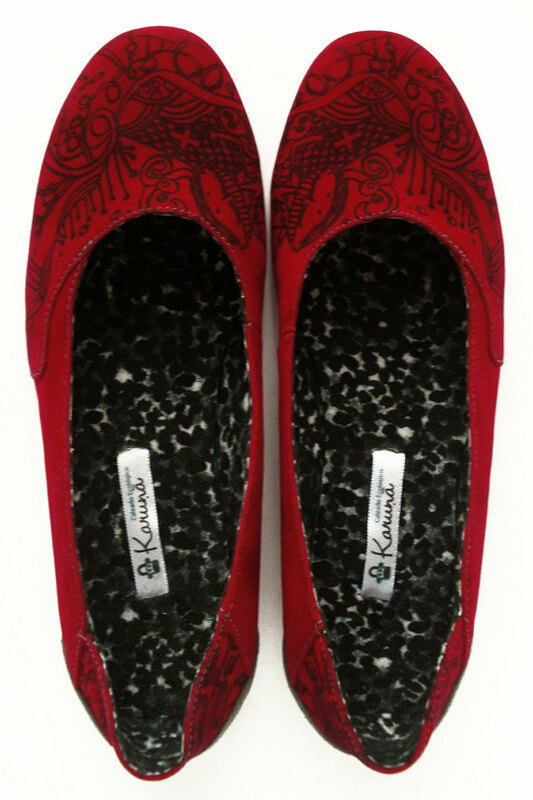 Karuna (EF, R)- Karuna shoes makes flats (and a few heels) made of recycled tires and upcycled fabric. Made in Bogota, so not local, but I love how many materials are being reused. Bonus, they are vegan! 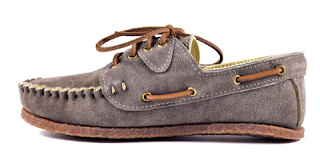 Pierrepoint Hicks (USA)- They have some really sharp lace up booties as well, but I think this company is most notable to women for their flats, oxfords, and loafers (some even look like boat shoes). They perfectly ride that line between butch and feminine, so they feel a little gender bendy while still looking very sweet. Rothy's (EF, Recycled)- This company makes flats out of recycled water bottles. Where I don't really think that works for clothes (sending microfiber plastics into the water), this makes perfect sense for shoes. They have kept 10,000,000 water bottles out of landfills, so I am pretty excited about that. Sole Rebels (R, FT)- You may notice TOMS didn't make the list. You are not mistaken! They aren't here. I do think their one for one mission is admirable and positive (and certainly better than just buying whatever rando made in China flats- so keep at it if you love the TOMS), but their labor and environmental practices still leave a lot to be desired. It raises the question- is it better to give a kid a pair of shoes or to pay their parents a living wage for the whole of their working life? Sole Rebels attends to these issues much more responsibly with a similar and adorable product. Based out of Ethiopia, they pay their workers four times the minimum wage and 3 times the industry average. They pay a salary not based on numbers. 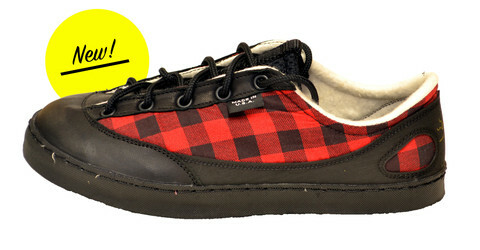 Even better, they also make their soles out of recycled tires. Not enough? Their flats and sandals are ridiculously cute. They also have easily found vegan options. Check out their site- I was pretty impressed. Athena Alexander (USA)- One of your best options for Made in America high heels. Lots of variety and options, many of which remind me of shoes I wore as a bridesmaid or high schooler going to the prom. That's not a slam, more of a marker that this might be a good place to look if you are planning for one of those types of things. 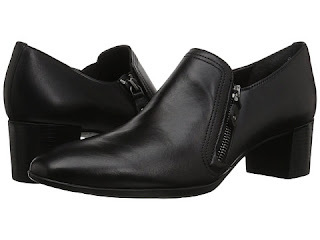 Byr Clogs (USA)- These are my favorite shoe find all year, and I just keep trying to justify buying a pair (but I won't! A girl can dream). These clogs are feminine, stylish, and modern. They actually look like they belong in a capsule wardrobe, somehow. Seriously, a really stylish option. Itza Chic Thing (USA, R)- This Etsy store takes lightly used shoes (I am suspicious they were all hers, because they are all 7 or 7 1/2), handpaints them, and seals them up. They do come out looking very fun and pretty, though I have trouble imagining what you could wear them with. Cute, recycled, and supporting an American artist? Not bad at all! Marais (USA, EF) Every shoe they sell was made in a small batch factory in Los Angeles. I am obsessed with their pumps, but they have amazing boots as well. Munro (USA)- Many Munro heels and flats are made in America, but not all, so be sure to check before you buy. 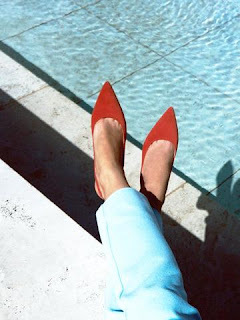 The Palatines (USA)- Jessica Taft Langdon- a shoe designer who worked for Coach, Catherine Maladrino, and Alexander Wang headed off to make her own shoes, and landed in LA when she couldn't find any skilled shoe factories left on the East Coast (what a bummer). Her line, the Palatines, includes flats, sandals, and even a few pairs of heals. They are pretty minimalist and clean, and they look like the kinds of shoes that would go with everything. More chic than I will ever be, in a good way. A new favorite brand for sure. Rafa (US, Vegan)- These gorgeous vegan shoes come in all sorts of styles and are made in Los Angeles. I love how colorful they are, and they replace commonplace fabrics with faux suede and tapestry fabrics. Vogue loves them, that is how cool they are. Sbicca Shoes (USA)- These shoes, which you can find on Nordstrom or Zappos, come in wedges, booties, and heels, from casual to big night out. Also, they aren't too expensive! One of the most varied companies on the list. 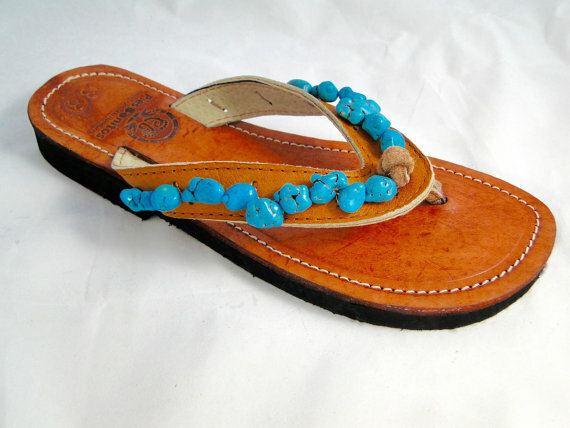 Island Slippers (USA)- These flip flops are made in Hawaii, and can you really think of anyone better prepared to know a good pair of sandals than Hawaiians? 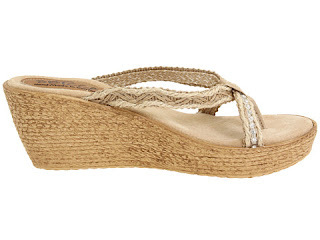 They have men's and women's shoes, and their women's flip flops actually come in a pretty wide variety of styles. Keen (EF) makes shoes that look like you love granola and hiking, but these sandals are freaking amazing in how long they last and how much they put up with. I buy each of my boys in keen sandals at beginning of summer, and we don't need any other shoe until September. If you do love hiking, walking on the beach, or being outdoors (or granola... each to their own), these shoes will LAST. They also have an excellent approach to the environment. They also partner with environmental groups like The Conservation Alliance and Leave no Trace. Okabashi (USA)- Sandals! They could also be good gardening shoes? I don't know, the rubber material reminds be of crocs. 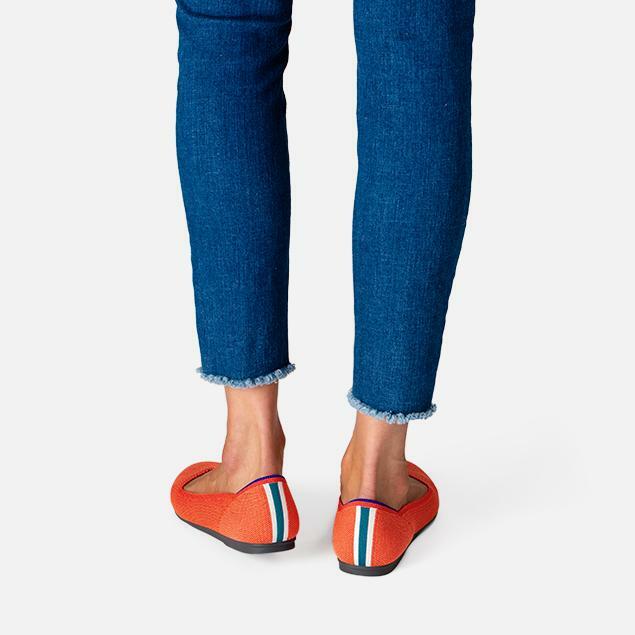 These also come at a relatively small price, so they might be a perfect replacement for those Old Navy flip flops (but way more ethical). 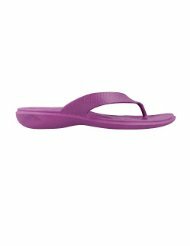 Olli (FT)- These fair trade and vegan flip flops are simple, but remind me of the ones you buy off the big wall at Old Navy. Simple, laid back, and perfect for summer. Pies Bonitos (FT, R)- These sandals are made while providing living wages for workers in Honduras (I'll be honest, that wording makes me a little nervous and I can't find more information, so I am not as confident about this suggestion). 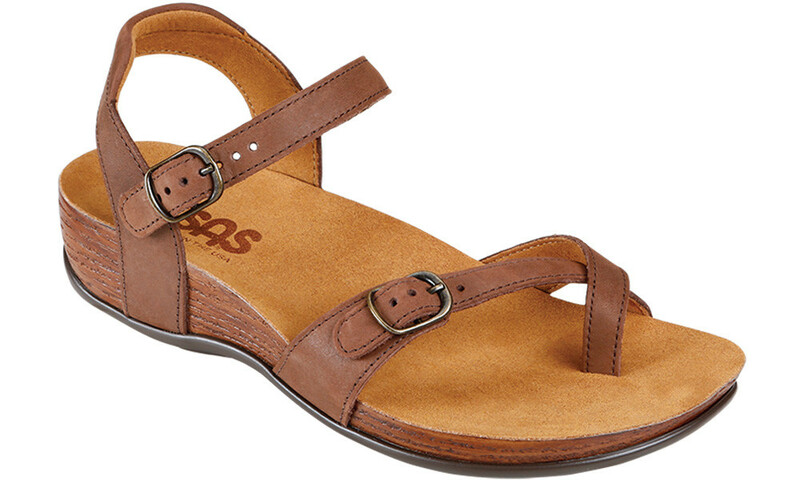 The sandals' soles are made with recycled tires, and the dyes are all natural. Maybe not perfect, but still better (and longer lasting) than what you would buy at Target. SAS (USA)- San Antonio Shoemakers makes all sorts of shoes- work shoes, tennis shoes, flats and more, but my favorite are their sandals. I bought a pair as my ONLY pair of sandals, and they still looked amazing 2 years of crazy adventures later. Some of the other shoes look a bit dorky to me, but I think these hearty, American-made shoes stand as one of my favorite discoveries this year. All Birds (EF, Not Vegan) works off the premise that wool is one of our most renewable resources and makes a wide variety of tennis shoes using wool (and a thin version of wool that is apparently more breathable. I have mixed feelings on these, because wool is renewable, but sheep have the highest CO2 output, and its not clear how well they are treated. You can poke around and come to your own conclusion. Natural World USA Shoes (EF)- I do not understand the name, because Natural World USA are made in Spain, from what I can see. Not the best of your options, but they do use environmentally-friendly manufacturers and materials. And their shoes look casual and cute. New Balance (USA)- When it's time to retire your Nike's, Reebok's, or Adidas shoes, try your next tennis shoes from a company that still makes (some, not all of) their shoes here in the United States. It's kind of shocking there is only one mainstream tennis shoe brand that is truly American, especially since they so often use "American-ness" as part of their advertising and brand identity. One option exists, and luckily that option has a bunch of sportier and more stylish choices- men can get even sharper ones through J Crew. 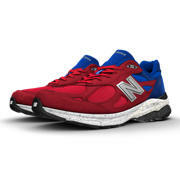 A little complicates in terms of the environment, but the best Made in USA tennis shoes available. Som Footwear (USA)- These sporty shoes, out of Montrose, California are built to mimic the experience of being barefoot (but with less splinters and so forth).They come in lots of fun designs without seeming overly fussy I love their testimonials too.. Good for your body, the environment, and the American economy, so I am all about them if you need a pair of walking shoes! 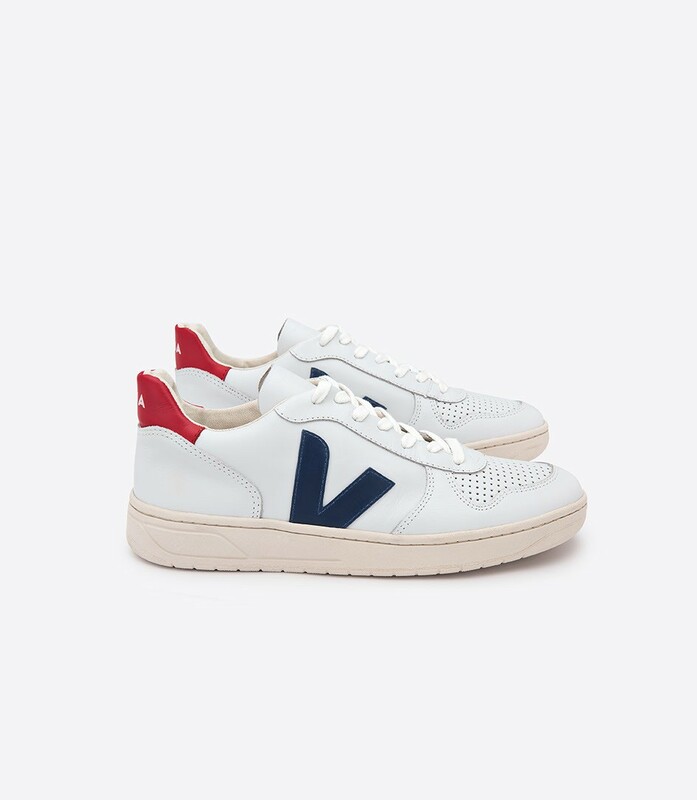 Veja (FT) makes gorgeous tennis shoes that have really taken off since the last time I worked on this list. They aren't perfect, but I do love them with all of my bougie green heart for being fair trade and using organic materials. They even have a collection of vegan shoes. Not perfect, but I love how transparent they are, and they even offer vegan tennis shoes! As cool as can be (celebs even love them), and one of the best options out there. 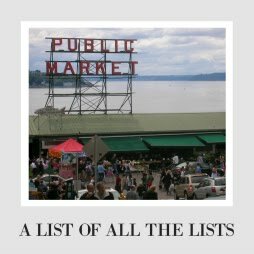 I revisit this list every year, and every year, more options are out there. 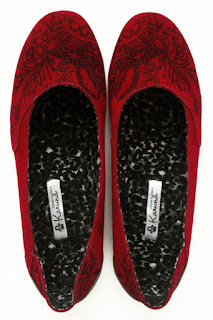 And more amazing shoes are up on ThredUp. There is just no reason to buy unethical shoes anymore. 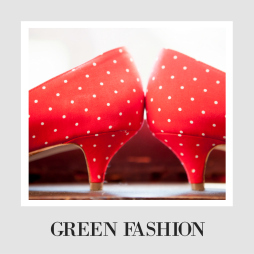 Want more green fashion? Check out our Little Green Dress Page, which has everything you could ever dream of for clothes and more! Check it out. You didn't mention Toms! I know they aren't made in america, but did you research if they really are ethical/helping or is that just a marketing ploy? Those Kurina shoes are super cute. 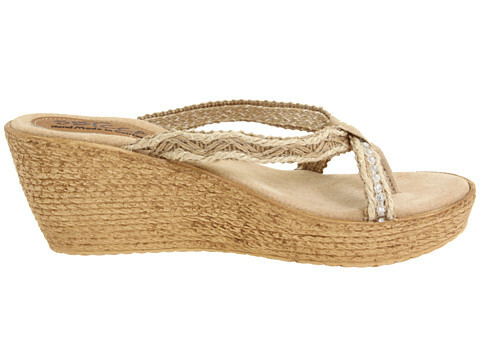 This Sole Rebel flats are cute. I barely get new shoes except for sneakers every year or so. So I definitely use my shoes for years. I haven't picked up second hand shoes just because I'm not sure sanitary wise if I want to go down that road. This is a great post. I need new shoes for me and this has given me some ideas. I do like the Island Slippers. Loving all the boots! Snow season is coming and a need a good pair this year.